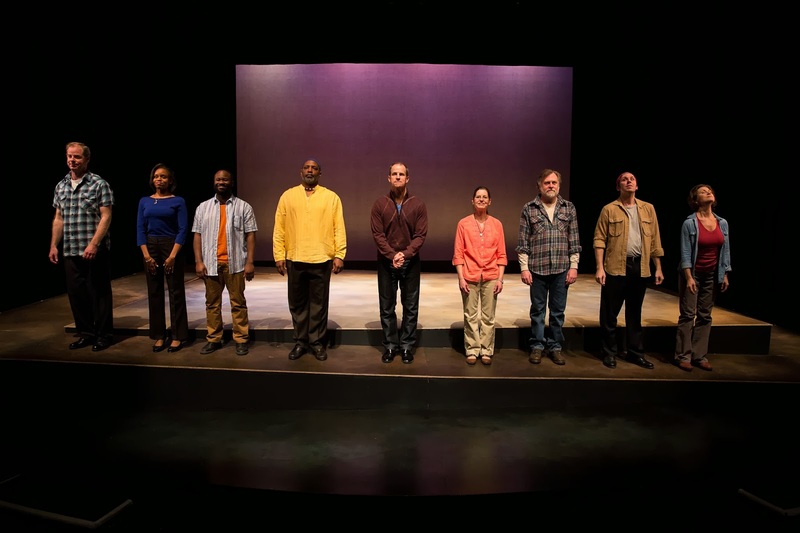 Justice Prevails in the Delaware Theater Company’s production of "The Exonerated"
Jessica Blank and Erik Jensen's gripping play The Exonerated explores the unjust treatment six individuals experience with the US legal system. Brilliantly intertwining multiple true stories about individuals who were wrongly charged for murder and sentenced to death, The Exonerated is a 90-minute play that captivates from beginning to end. With a stark tiered set, director David Bradley puts the focus on his actors and the stories they are sharing. knowing the real murderers are free while they endure imprisonment. The entire cast gives exceptional performances. Using only chairs as props, the actors have the great task of keeping the audience engaged, which they all successfully accomplish. Not needing a set, the actors fill the stage with their moving stories, which reveal the flawed practices within our justice system and the harsh realities of life in prison. The previous production I saw of The Exonerated had the cast sitting in a row of chairs reading the script, similar to DCT’s wonderful production of Love, Loss, and What I Wore. However, Mr. Bradley has his actors moving and at times interacting in small scenes. (Only Mr. X wasn’t able to participate in the interaction with his fellow actors. Unfortunately, he fell when exiting the raised stage the day before the performance I attended; leaving him injured. Being a real professional, Mr. X sat in a chair on the side of the stage performing his role as an 18-year-old African-American man who was convicted for a murder based on the color of his skin.) Having the actors in motion added a new element to the play that brought it to life. This production feels complete rather than just a reading. The Exonerated runs through March 9, at The Delaware Theatre Company. Visit www.delawaretheatre.org or call 302.594.1100 for additional information and to purchase tickets. The World Premiere of Irene, written and composed by Shaun Dougherty and choreographed by Alex Buckner, lived up to expectations (I can honestly say it exceeded mine, and I'm pretty picky when it comes to the vampire genre in general). It's too bad that the production was a one-night-only event. It's the kind of production that needs word-of-mouth and general buzz to draw people who might not ordinarily spend an evening at the ballet, but who would undoubtedly love this show. Vampires and ballet go together uncannily well -- there's something about the grace, the fluid movements, and charisma ballet can offer that makes it work really, really well. And with its impeccable choreography, the most violent moments of Irene capture the horror, without even a drop of blood. The atmospheric, dark score blends classical and contemporary music; the 9-piece orchestra, led by Conductor Clint Williams, is dominated by strings, with Dougherty on electric guitar. This is not what I would call a rock 'n roll ballet any more than it's a traditional one -- but the modern, electric bass and guitar elements give it an edge that fits the gothic style of the story. Thought it has twists, the story is straightforward enough to follow easily, even for those not accustomed to watching stories told in dance (the beautiful costumes by Joanne Epstein, Traci Eizember and Paige Obara also help keep the characters straight). Emily Shenaut plays Irene, a young ballerina who finds that the prestigious ballet company she's been accepted into is, in fact, a company of vampires, led by Malekeh (Mary Kate Reynolds) and Liam (Leonid Goykhman), with a pair of vampire henchmen lovers, Lily and James (Aubrey Clemens and Jake Nowicki), stalking her throughout as she tries to escape the nightmare Though there is a goth-romantic feel to the story, the vampires are clearly monsters, despite their graceful beauty, and the vampire killings, of which there are several, are so horrific that Irene attempts suicide after witnessing them. Seemingly less monstrous is Maeve (Rie Aoki), Makela's apprentice, who portrays an more innocent and kind spirit -- but are her intentions really to help Irene? Through all of this is a love story between Irene and her boyfriend Ethan (Justin Estelle), who spends most of the story trying to protect or save Irene from the vampires. The audience knows a little more about Ethan than Irene does (I almost wished we didn't), and their arc carries through from beginning to end. Here's hoping that Irene comes back in future seasons. Looking for Something Different This Weekend? How About a Vampire Ballet? "When was the last time you saw a professionally performed classical and contemporary ballet with live musicians about vampires?" asks Shaun Dougherty, creator and composer of Irene, First State Ballet Theatre's unique new production, premiering for one show only this Friday, February 21, at The Grand Opera House. It's really a rhetorical question. While Wilmington has seen some dark ballet, thanks to Fringe Wilmington, a vampire ballet is something new, made only more enticing by the fact that this is a FSBT original. The story centers around Irene, a beautiful young dancer who joins the most prestigious ballet company in the world and finds herself struggling with mysterious odd rehearsal schedules and constant late-night parties. Dougherty, a musician who is primarily a jazz and rock guitarist, got hooked on ballet thanks the location of his teaching studio -- inside The Grand, where FSBT is also located. "I met (FSBT director) Pasha casually, and just started going to all their performances," says Dougherty. "They're a very professional and talented school. Once the ballet idea popped into my head, I literally just walked into their office one day and pitched my idea. After several more chats, we all agreed this is something we can and should do, and here we are!" Irene aims to bring the beauty of the ballet to a new audience, while appealing to established ballet fans, with a mix of classical and contemporary music and its seductive horror theme. "There is a lot of talent here in little Delaware," says Dougherty, "and this is what I do -- I write original music and put together shows. This is my love, this is my passion and I want people to enrich their lives with the beauty of ballet. I'm just along for the ride." 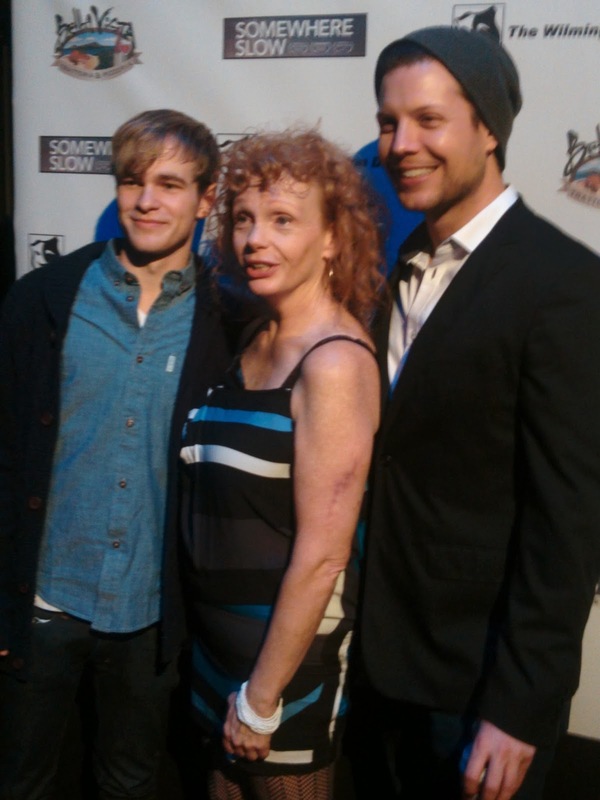 Wilmington native Jeremy O'Keefe's second feature film, Somewhere Slow, had its Delaware premiere over the weekend at the Wilmington Drama League, with a red-carpet reception and two big-screen showings. 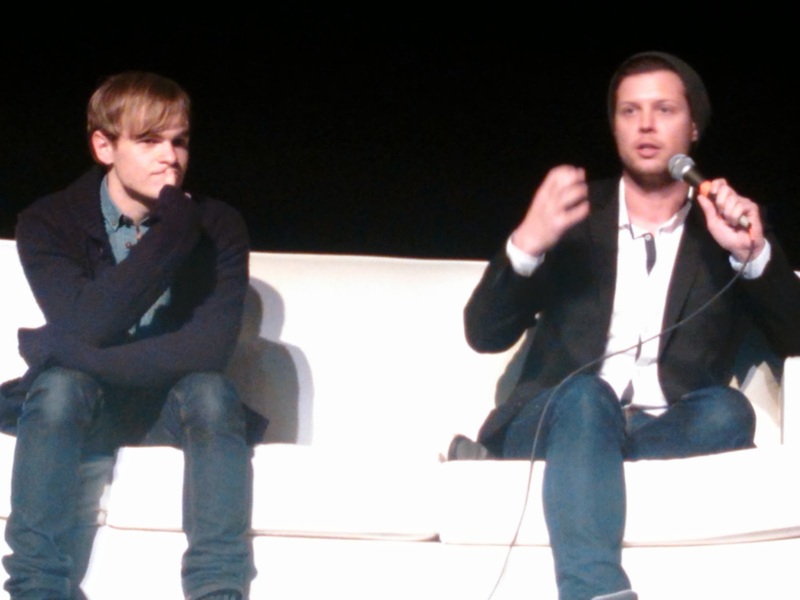 Enthusiastic audiences got the chance to Q&A with O'Keefe and star Graham Patrick Martin ("Major Crimes," "Two and a Half Men"), who shared some behind-the-scenes stories and in-depth conversation about the darkly comic drama. (Fun Fact: in it's earliest incarnation, it was a Rom-Com!) If you missed the screenings of this moving "grown-up coming of age" film (and it really is a great film, regardless of our Delaware bias), it's available now to rent or purchase on iTunes and Amazon Instant Video! 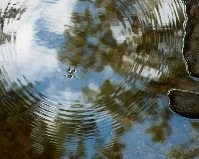 When Delaware State Park employee Elizabeth Drummond and photographer Lynn McDowell began guiding public nature hikes with photography in mind, the results were a wonderful mix of photographic talent, healthful hikes and…now…a photography exhibit in the Blue Ball Barn of Alapocas Run State Park. After a year of Ms. Drummond encouraging people to hike and look carefully and Ms. McDowell telling the hikers to look with a camera, the two realized that they had amassed some impressive photographs. Their hiker companions used cell phones and digital cameras and brought myriad levels of experience to the project, but the collaboration seems to have inspired one and all to view the seasons with creativity and imagination. The youngest photographer whose work is on display is Gavin, 12, who attended the opening with his father and brother. Gavin had taken a photograph of a dead tree from an angle where you see the trunk, but he managed to get the lacework of black twigs in perfect focus against a purplish blue winter sky. The quality of the photograph makes it hard to believe he took it with a Panasonic Point and Shoot. On the far wall was a photograph which seemed to be of a swirl of colored autumn leaves. Up close, you can see it is a snake which photographer Don Thureau photographed just as he extended his bright red tongue as he contemplated his human audience. With McDowell’s encouragement, Virginia Lockman took a dramatic picture of a spider web. McDowell decided to bring out the light by spraying the web with droplets of water which made a prismatic effect. The project truly seems to have taken hold, with the joy and exuberance of both professional and amateur photographers excited to collaborate and capture the beauty of the Delaware State Parks on their hikes. The exhibit will be on display at Blue Ball Barn through March 16. 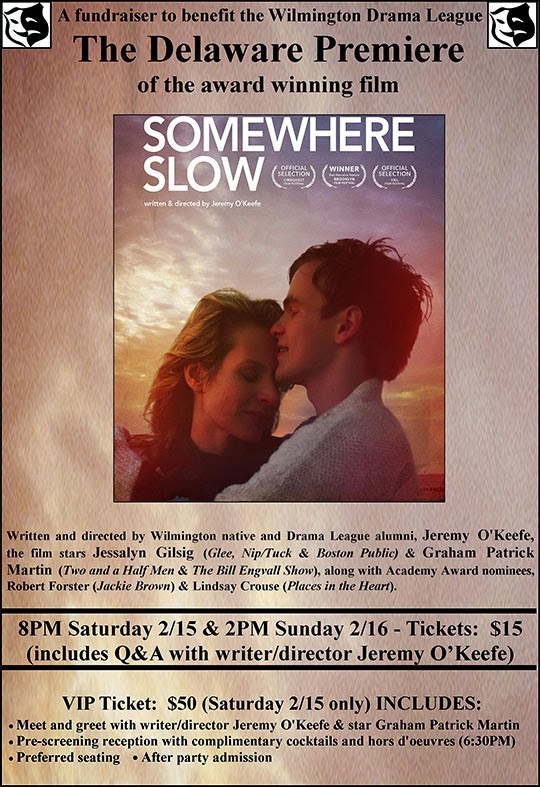 Climb out of your snow-and-ice-filled funk this weekend and celebrate the Wilmington Drama League's Delaware premiere of Jeremy O'Keefe's award-winning film Somewhere Slow, starring Jessalyn Gilsig ("Glee," "Nip/Tuck") and Graham Patrick Martin ("Major Crimes," "Two and a Half Men") with Lindsay Crouse and Robert Forster. More than a screening, the premiere is your chance to meet the writer and director, Delaware native Jeremy O'Keefe and star Graham Patrick Martin, while raising funds for the Wilmington Drama League. Somewhere Slow is O'Keefe's second feature film, and the second to take place at least partially in Delaware (his first feature, Wrestling, was shot on location in Wilmington). There is no better place than Wilmington Drama League for the Delaware premiere of the film the Los Angeles Times called "frequently affecting and mordantly funny" and the New York Times declared "wonderful." "The WDL gave me my first opportunity to write and direct back when I was 12, and then each year after that before I went to college," says O'Keefe, who grew up in the Highlands/Trolley Square neighborhood and attended Cab when it was still only a middle school and graduated from A.I. du Pont in 1998. 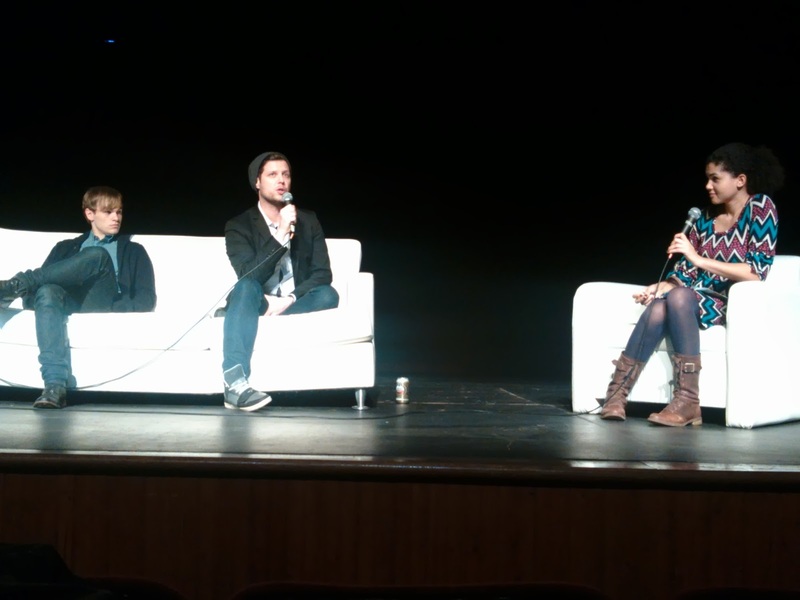 "I directed a young Keith Powell ("30 Rock") in the one-act play festival and a young Aubrey Plaza in my mainstage production of Here's Love -- and it was the belief of the members of the WDL and the community that supports this wonderful and magical theatre that gave me the strength and confidence to pursue the arts at a professional level. I owe any career that I might have to the WDL." While his debut feature film, Wrestling, was a triumph, Somewhere Slow shows his progression in the industry, as respect for his work continues to grow. The film's stars, who went all-in as producers, make their confidence clear. "The script grabbed me immediately," says Gilsig. "Sometimes you read something and think, 'I want to go there, I want to explore that story, that world.' Jeremy and I agreed to partner on the project in hopes of pooling our resources and seeing if we could get the film made while retaining the original vision he had. It’s been a long and varied road but entirely rewarding, especially now that it is reaching and audience and they are connecting the story the way I did originally." Martin, who will be on hand for Q&As after the screenings, was similarly drawn to the script. "It's rare to find a script like this one that felt so raw and real -- there were no gimmicks at all," he says. "It was my first time working as the lead role in a film, which added a certain amount of pressure. Jeremy made me feel completely comfortable and confident in my work. I also loved how he worked more as a collaborator than a director. It was always a group effort and everyone's input mattered to him. That's pretty special." "I think of the film as a beautiful short story," Gilsig says. "It explores the fantasy of: what if you could just stop the world and step off for a moment? Anna and Travis' love story is unsustainable but it’s a moment in time, and a moment they will be able to refer back to for the rest of their lives. It feels relatable to me. And I hope is an unexpected and effective escape for the audience." Somewhere Slow premieres in Delaware this Saturday at 8:00 pm and Sunday at 2:00 pm at the Wilmington Drama League. Regular admission is $15; VIP tickets for Saturday evening, including a meet and greet with O'Keefe and Martin, preferred seating, a pre-screening coctkail reception and admission to the after-party, are $50. 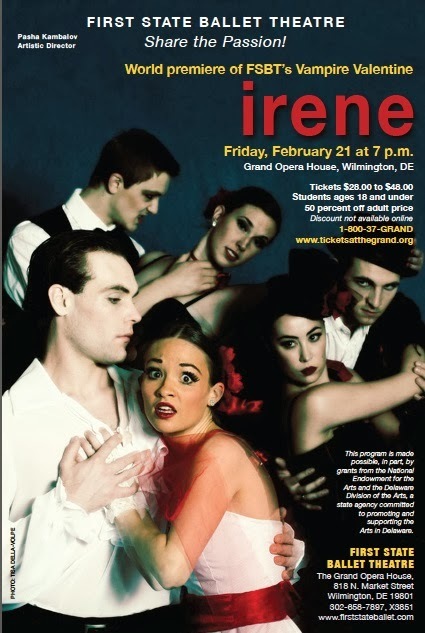 Proceeds benefit Wilmington Drama League. Purchase tickets via wilmingtondramaleague.org/somewhere-slow/. 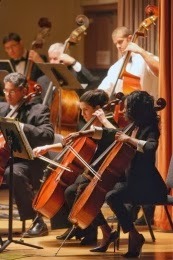 The Wilmington Community Orchestra performed the Russian Easter Overture, Opus 36 by Nickolai Rimsky-Korsakov and in doing so showed off some of the talented players. Larry Hamermesh, concertmaster, played his solos with panache and the clarinet work of Anthony Pantelopulos and Michelle Webb was a delight. Melinda Bowman’s soaring and delicate flute lines created a spider web of texture for the orchestra. Barry Morris, Pete Witherell and Jim Yurasek took on the demanding trombone parts with ease and it sounded great. I was also delighted to hear the double basses shine in their rhythmic underpinning to the very striking overture. But when Charles Abramovic began to play the Piano Concerto No. 1 in E-flat major by Franz Liszt, I could not listen to anything but the amazing piano sounds. 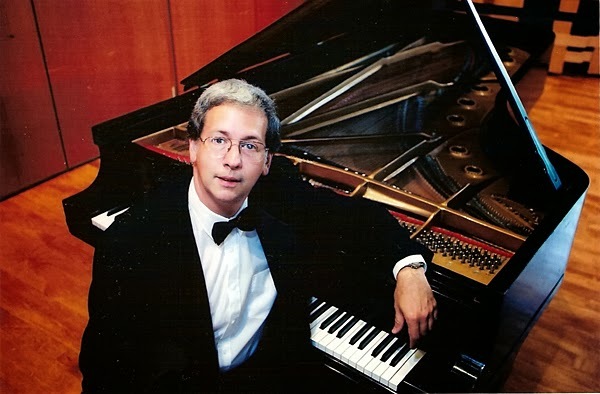 Mr. Abramovic is an excellent pianist, but I had heard him play mainly modern piano music before this concert, so I was overwhelmed by his ability to make the piano notes ring and reverberate with the sort of perfect declamatory sound that is so characteristic of romantic music. The concerto is an unbelievable tour de force technically, but Mr. Abramovic seemed unconcerned by notes and dedicated to following the conductor and the orchestra. His dynamic control was superb and he had passages where he had to put a theme forward and have all twenty other fingers play rather quietly in the background. In the finale of the concerto, he played a resounding fortissimo which went deep into the keyboard to produce a ringing and resonant echo for the orchestra. It was quite a feat and he richly deserved the booming applause. Dr. Schwartz spoke of the excitement of a premier on March 23, when the WCO will host the unveiling of a violin concerto composed specifically for the Wilmington Community Orchestra by English composer David Osbon, who came to hear them last year when they were rehearsing for another concert. The composer will conduct while the conductor plays the concerto.